This was a beautiful November day, with a bright sky though slightly brisk. 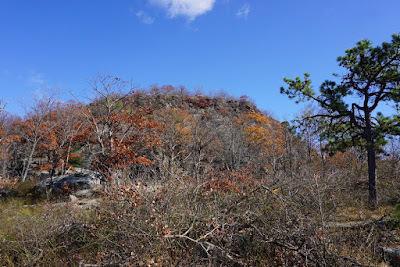 Most of the foliage was gone, though there was still a little remaining. 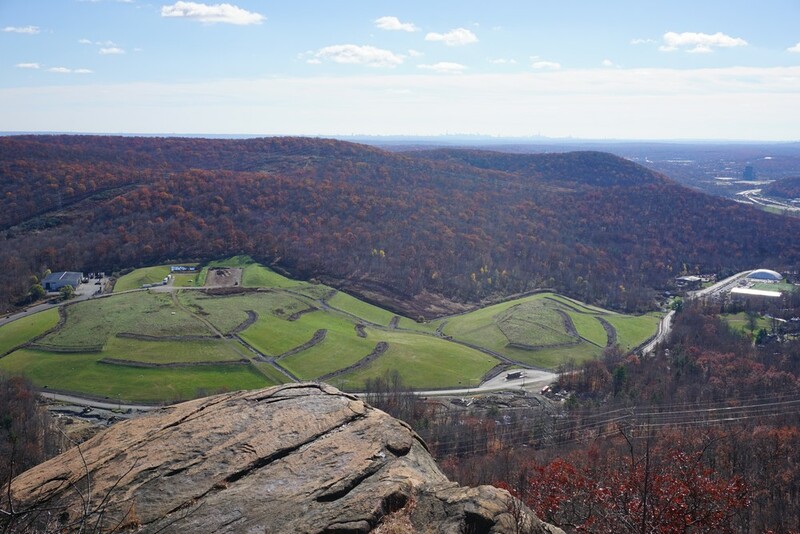 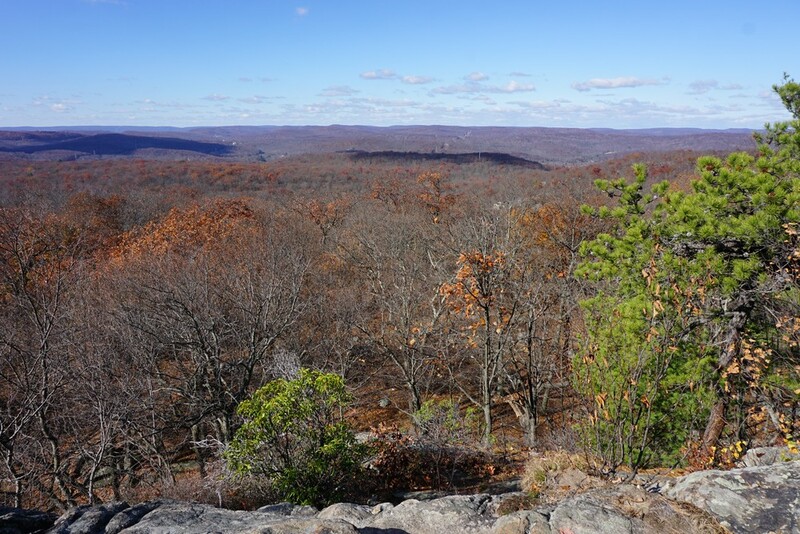 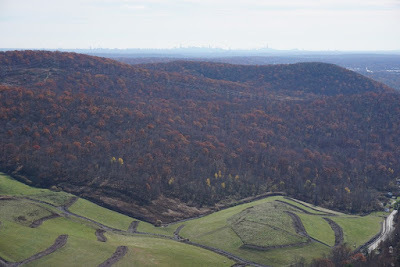 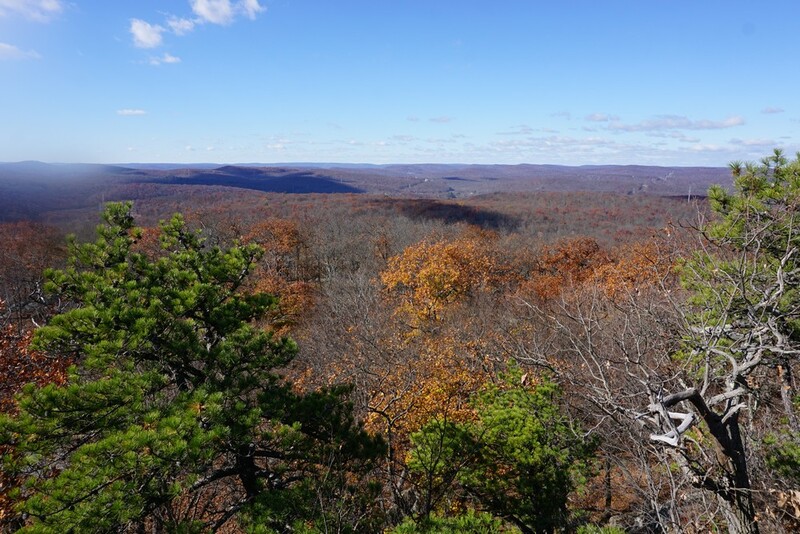 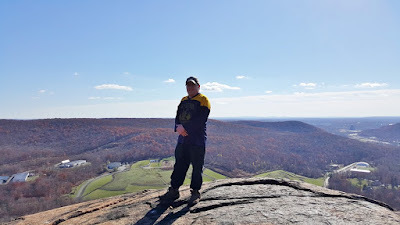 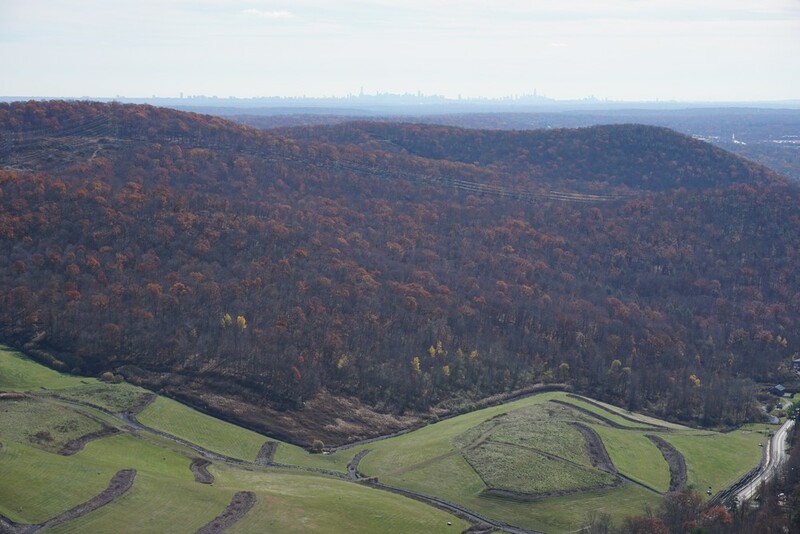 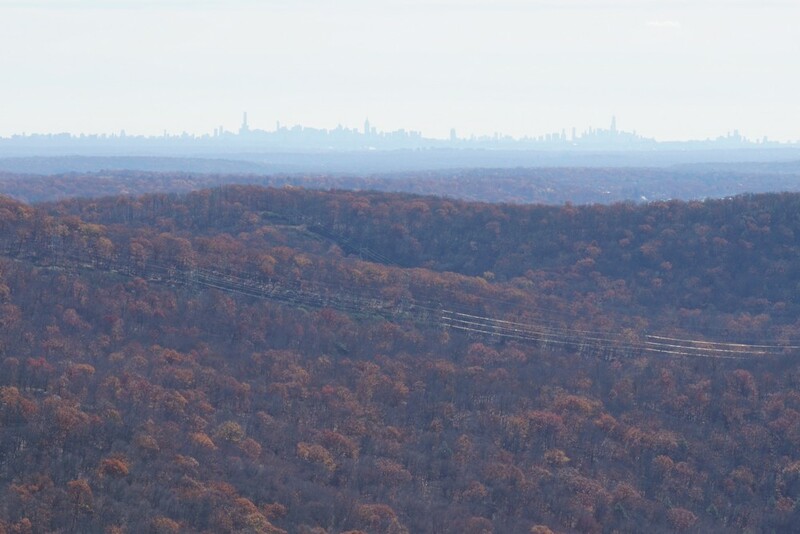 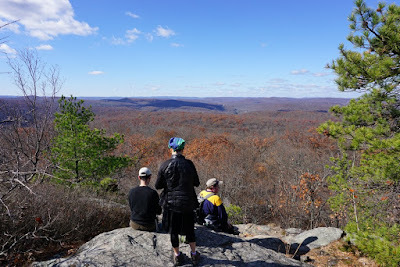 We parked in the Reeves Meadow Visitors Center along Seven Lakes Drive near Sloatsburg, and took the Pine Meadow Trail south for a short distance to the 7 Hills Trail. We took the 7 Hills Trail for some time until past the intersection with the HTS Trail. 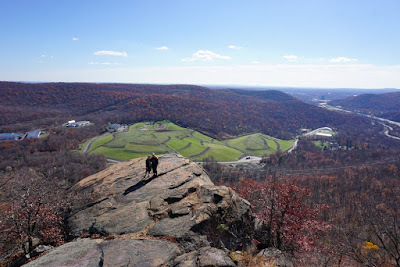 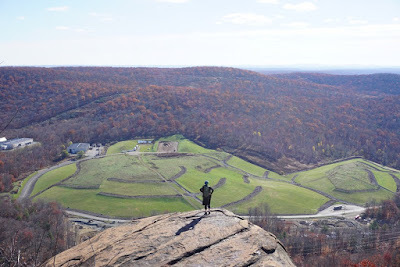 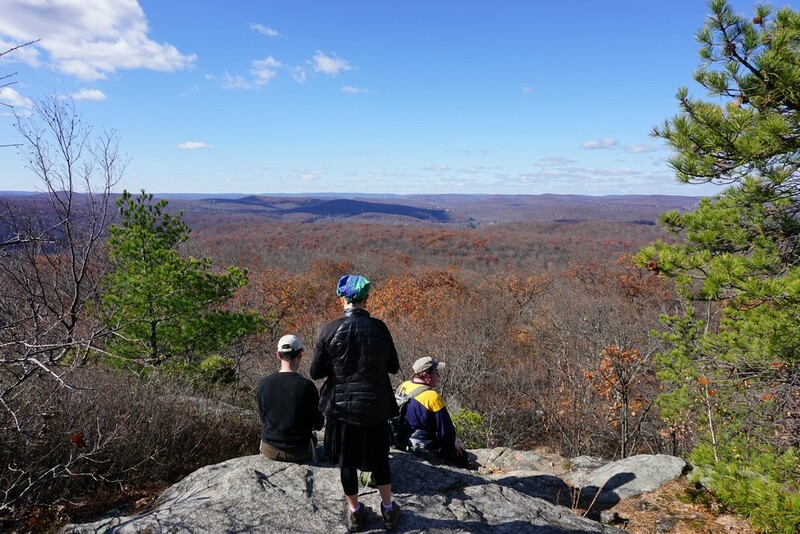 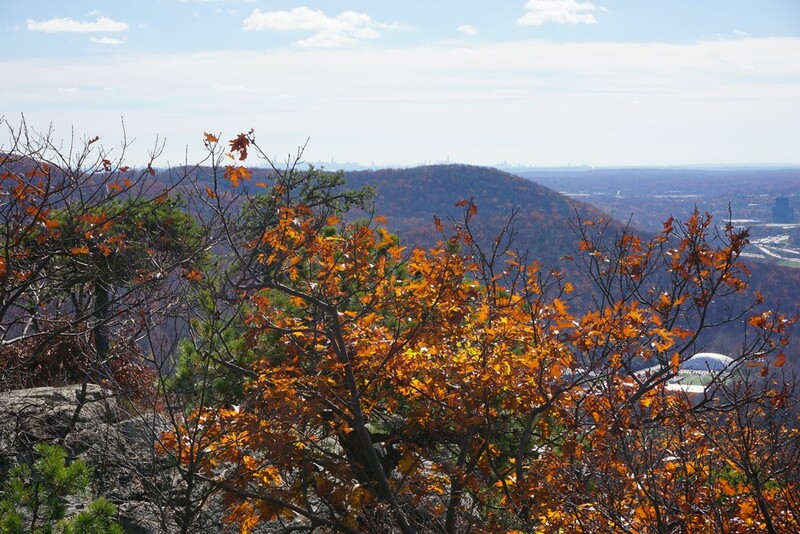 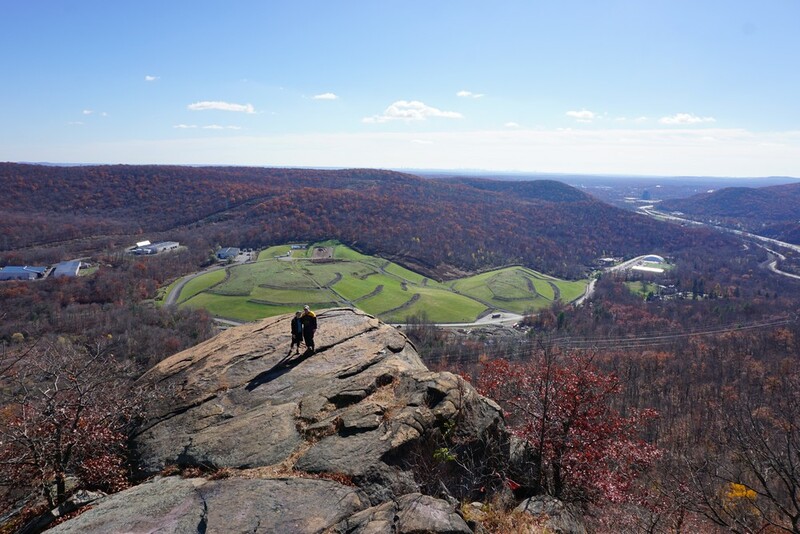 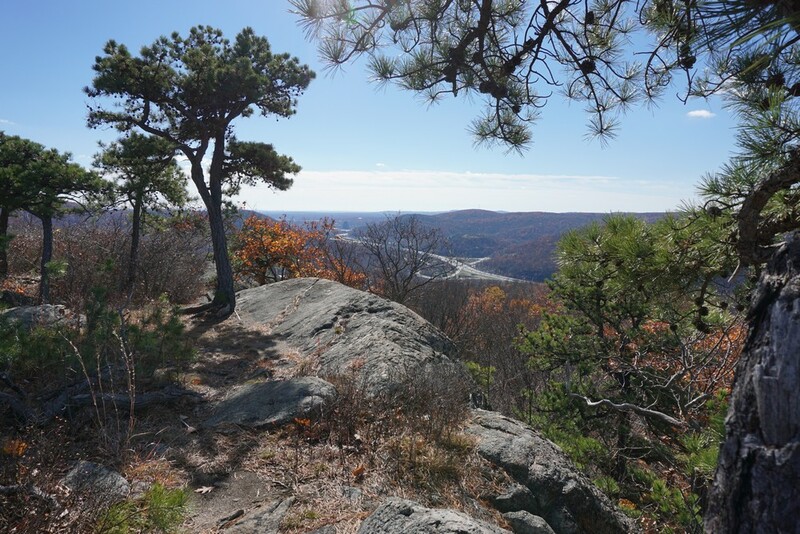 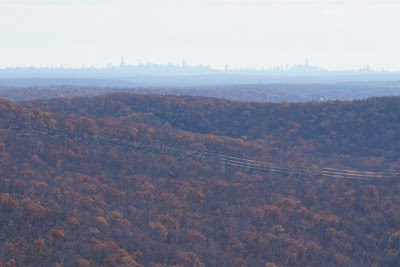 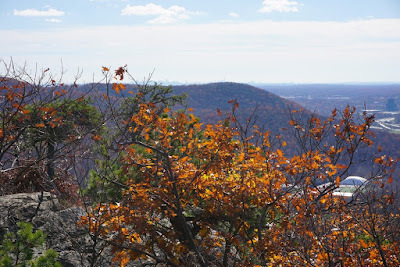 We then took the HTS trail which it abruptly climbs to the scramble at Ramapo Torne. There is a lower view and then an upper view right above. 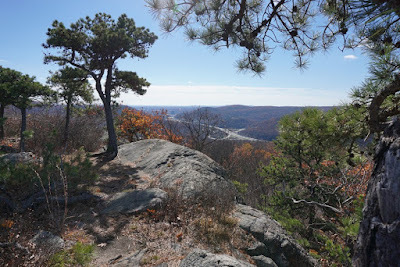 This area has a great view from multiple angles. 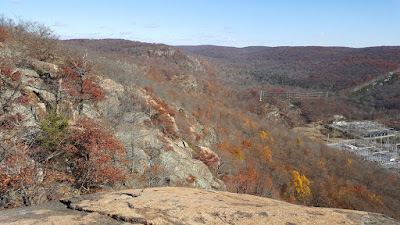 We then continued down past the view, to the 7 Hills Trail, which we took back down the mountain back to the intersection we were at before. 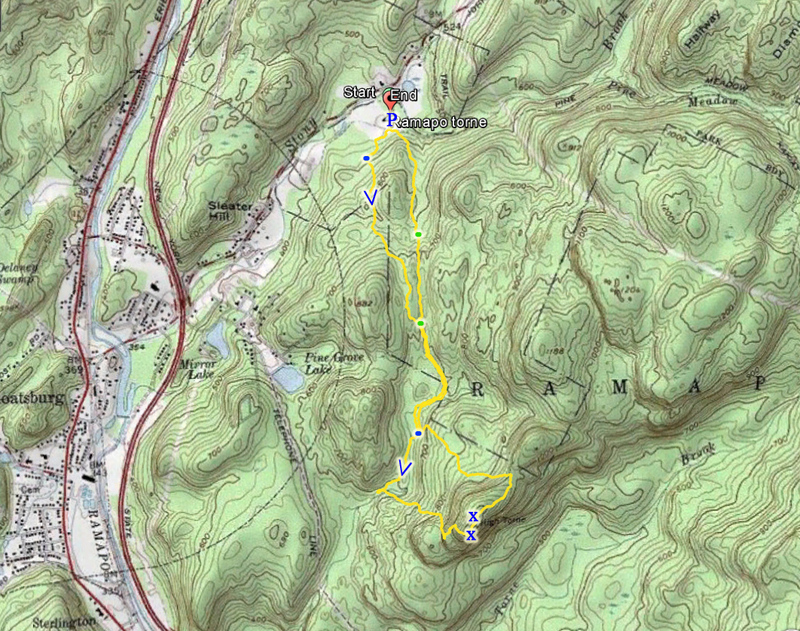 We went back on the 7 Hills Trail, and then cut across on an unmarked path to the Reeves Brook Trail, which we took to end of the trail at the trailhead.